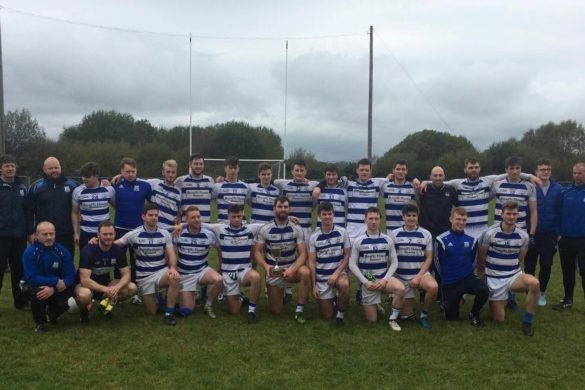 It was Breaffy who claimed the bragging rights after overcoming parish rivals Castlebar Mitchels by 9 points in a sun soaked Breaffy on Saturday evening. 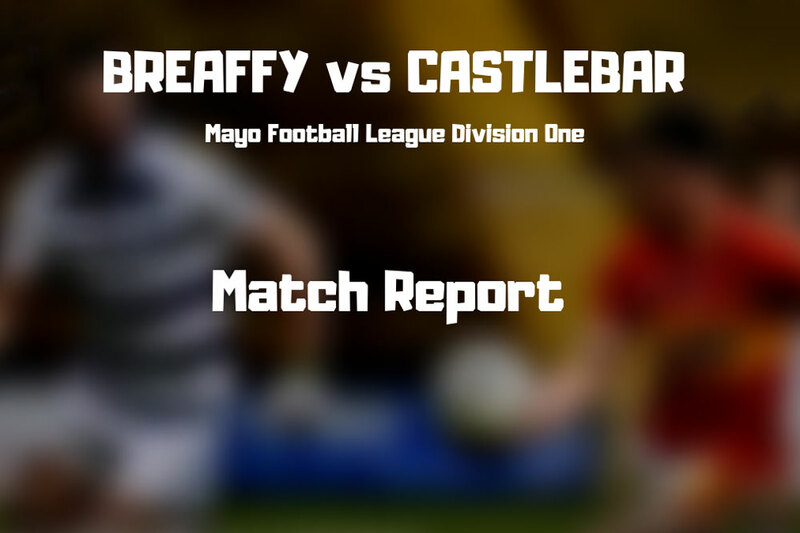 Breaffy were without the injured Seamie O’Shea and James Minogue, while Castlebar left county panelists Donal Vaughan and the Durcan brothers in reserve. The game was end to end for the most part with a total of 33 scores. It was the home side who got off to a flying start, leading 8 points to 1 after 15 minutes thanks to 4 points from Conor O’Shea, with Ruane, Fadden, Hennelly and Dunne getting the others. The control of the first 15 minutes was very much down to Breaffy’s dominance of the midfield third. However, the second quarter saw the Mitchels gaining a stranglehold of the game. In the space of 15 minutes they went a point up after outscoring the home side by 1-6 to 0-2, with the goal scored by Brian Walsh after good build up play. However, this was the only time the visitors lead in the game. That lead didn’t last long though, and on the 30 minute mark a surging run from Aidan from midfield opened up the Castlebar defence and he squared the ball to the onrushing Gareth Dunne who palmed the ball to the back of the net. Two more quick points from Conor & Steve McDermott left Breaffy leading 1-12 to 1-8 at the break. 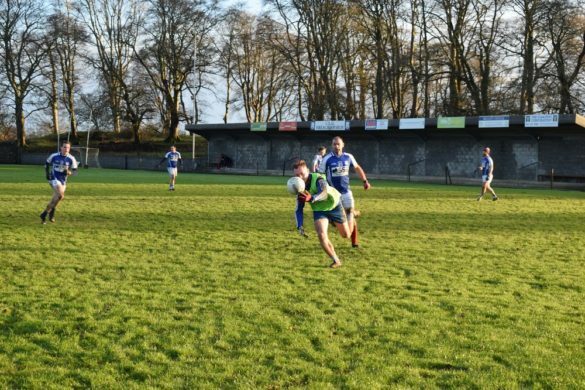 The second half saw the introduction of Donal Vaughan and James Durcan, but it was Breaffy who really started to exert their dominance on the game. This dominance saw the away side lose their discipline somewhat, seeing three black cards and one red before the 50 minute mark. From the 39th to the 52nd minute, the game slowed from the rapid pace it was being played at, with neither team able to register a score. Overall, Castlebar scored 3 points in the second half from David Stenson and Shane Hopkins (2), while Breaffy tagged on 8 points from McDermott, O’Reilly (2), Martyn, Hennelly, Fadden, Conor O’Shea with Liam Irwin kicking the final score of the game on the turn, after being sprung from the bench on his competitive return. 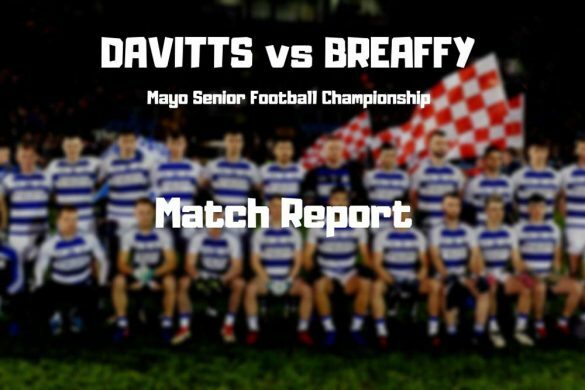 It was a much deserved win for Breaffy in the end, with the defensive unit and midfield all playing well, and all of the six starting forwards scoring from play. 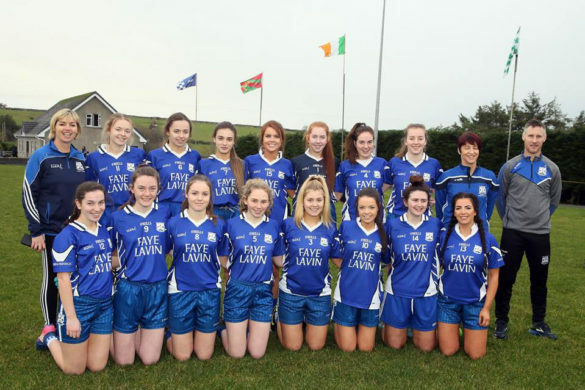 Up next is Davitts in the Senior Championship, next Saturday the 13th of April in Ballindine, with throw in at 6pm. 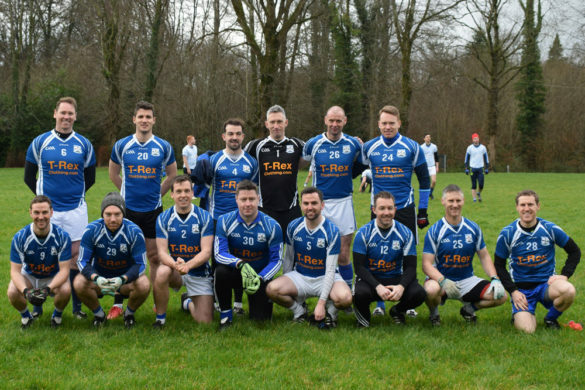 R. Hennelly (0-1), M. Dervan, C. Beirne, D. Cannon, M. Hall, C. Kelly, K. Mulchrone, M. Ruane (0-2), A. O’Shea, T. O’Reilly (0-2), R. Martyn (0-1), R. Fadden (0-2), G. Dunne(1-1), C. O’Shea (0-6), S. McDermott (0-4). Subs: C. Flynn, L. Irwin (0-1).